Food matters. Food matters because it is central to almost every social event, family gathering, daily family schedule-making, or performance-based endeavor. Whether we like it or not, whether we want to think about or choose it, we cannot avoid the role that food plays in our daily lives. How then do we avoid the over-emphasis on food, the emotional connection be it positive or negative that results from being hyper-focused on what we are putting in our body? This is where it pays to understand and appreciate nutrition as it relates to the nourishment of your body. Rather than focus strictly on taste and preference, focus on the benefit that nutrients have on the development of our minds, the function of our organs. How food is the basis for fueling our personal performance capacity. Food is and always will be central to relationships because food brings people together. It might be gathering around the dinner table after everyone has finished their long, busy day of school, work, soccer practice, or the gym. It could be a birthday party for a family member celebrated with sprinkle cupcakes and tasty party favors. Perhaps it is a work event to honor new hires that includes a catered lunch and complimentary champagne. If you listed any number of ways and whys people gather, more than likely there is a reason to serve food and/or drink. There is nothing wrong with having food or beverages to add value to an event. In fact, it is one of the ways to help people relax, find balance between work and life, and stay in touch with those they love. So how can we continue to include foods, drinks, and relationships in our lives without allowing those moments to create challenges from a health, weight and emotional standpoint? Engaging without allowing food to become our performance saboteur. This is where we have to learn to look at food differently. 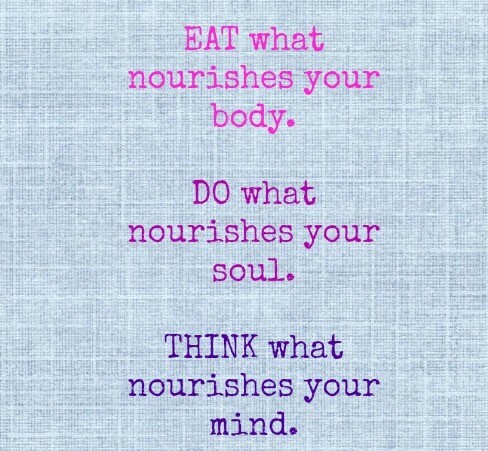 Often we look at food as a coping mechanism for those long days. We think that we have to have the cupcakes, alcohol and finish off every last cookie crumb in our boxed lunch then these things may well add up. 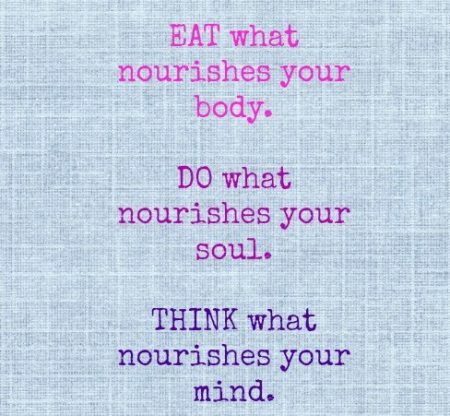 On the other hand what if we keep the mindset of food as nourishment, and decide if the choices provided are truly nourishing our body and our soul? Can we enjoy these experiences strictly for the social interaction, the conversation and camaraderie that is providing the true nourishment. Then we may well approach these situations with a different lens. Have a cupcake, but perhaps you nix the champagne and hydrate with water instead. If they serve a boxed lunch, perhaps you eat the sandwich and bring in your own apple, and some baked chips, or veggies and hummus to munch on with it. If you are having a family dinner, and your kiddos have requested lasagna, then just plan the rest of your day so that you know you have given yourself the room in your calorie budget to sit with your family, eat what they are eating and stay present in the moment as opposed to dwelling on the meal and the fear or guilt that may arise from something you might prefer not to be eating. These messages are stronger than you think. Yes, Food Matters. Quality of nutrients matter. Balance between healthful, nutrient rich choices, and more indulgent, “fun” foods is essential. But more than that, what matters is how food allows us to come together and spend time with those we love and respect. Don’t let food become the barrier, let it be the catalyst.